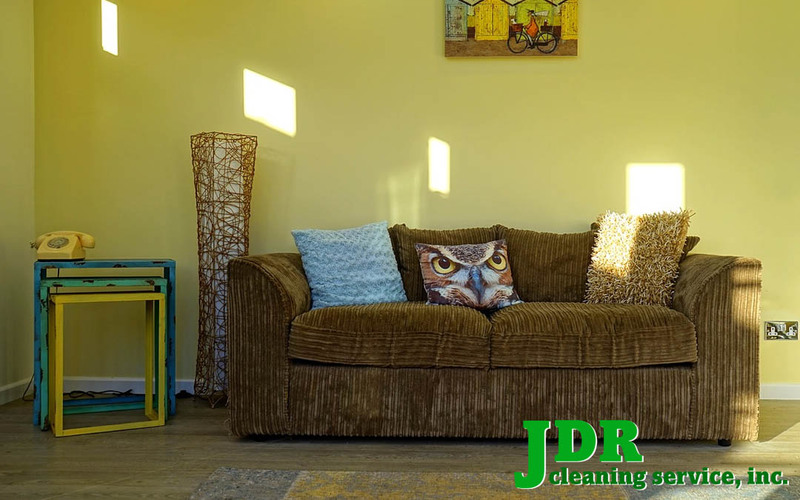 Tips for Daily Office Cleaning • JDR Cleaning Service, Inc. Taking a few minutes a day to do a few simple chores can make life easier and eliminate that overwhelming feeling you get when your home or personal office space is a big mess. Make your bed every morning. The extra minute you take to do this will give you that “I’m off to a good start” feeling and actually help your day go better. Empty your garbage cans every day. It is amazing how this one thing can make such a difference especially in your kitchen, bathrooms and office. This helps get rid of unwanted smells and makes the rooms feel fresher. Everyone has a place they throw mail, magazines, flyers, etc.. Go through your pile once a day and throw away junk and put your important mail in a designated place. Fill a spray bottle with 1/2 alcohol and 1/2 water and give your kitchen and bathroom counters & fixtures (including granite) a quick wipe down. This solution also works well on mirrors. Wipe up your kitchen floor at the end of each day. I suggest using a swiffer or similar stick with a disposable wet pad attached. (Generic ones can be purchased at the dollar store and work just as well.) You can also attach a dry pad (usually used for dusting floors) and spritz it with water from a spray bottle. For extra cleaning, fill the spray bottle with water and a few tablespoons of vinegar. This quick daily floor cleaning really makes a difference. At least once a day (I do this at night before going to bed) wipe down all your phones with the water and alcohol solution in a spray bottle. Phones carry more bacteria than people realize. I hope these daily cleaning tips help so when the BIG cleaning day rolls around, you’ve cut your time and labor. I’m sure you’ve got many other things you’d rather be doing.